D.O.T. Furniture offers a five-year warranty on resin teak furniture against cracking, splintering, chipping, peeling and rotting under normal usage conditions. Resin Teak tabletops are not warranted against bowing or warping due to extreme heat exposure. All warranty work must be assessed by the service centre and is only valid with an original receipt. Warranty does not include nor cover non-residential use, normal fading and discoloration, normal wear and tear, scratches, misuse, abuse, neglect, the use of improper cleaning products, use of sun-tan oils or other chemicals, vandalism, damages due to improper assembly, acts of nature such as wind, freezing, etc. and other circumstances beyond defects in material and workmanship. Warranty also does not include delivery, pick up or home inspection. 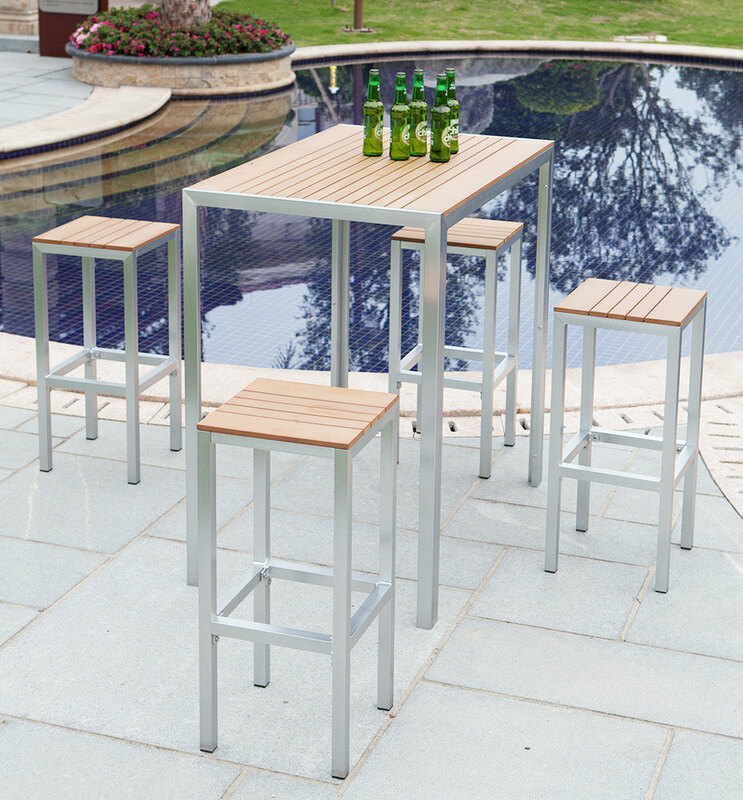 Casual and stylish, Resin Teak furniture has the look of real teak without complicated upkeep. The simplest and most inexpensive method to keeping your furniture clean is to pull out the hose and spray it down. Occasionally, when simple hosing off the outdoor furniture does not work, a simple mixture of mild dish soap and water is your best solution. It&apos;s important to avoid corrosive or abrasive cleaners and other cleaning products such as steel wool that may permanently scratch the surfaces. Protect your Resin Teak surfaces from fire and excessive heat that can melt or bow the table top. Common sense must be used.